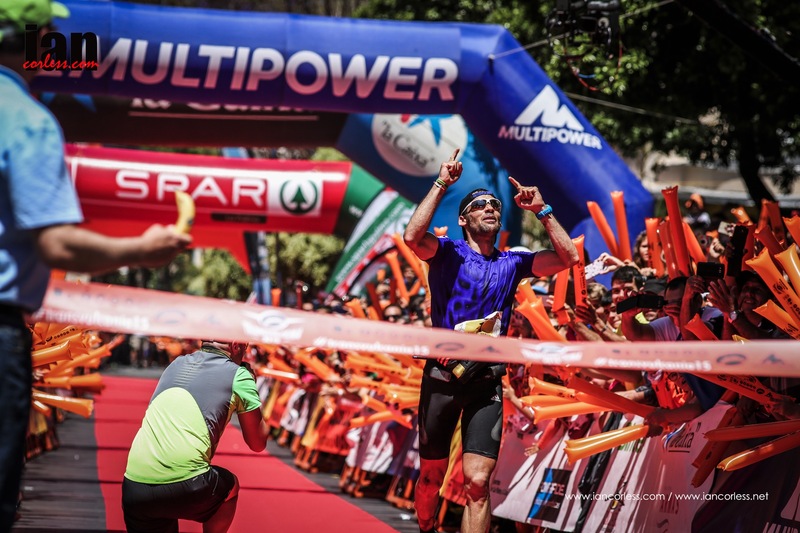 The 2017 Migu Run Skyrunner® World Series and the 2017 Vertical Kilometer® World Circuit progresses with two stunning races on the island of Madeira this coming weekend. 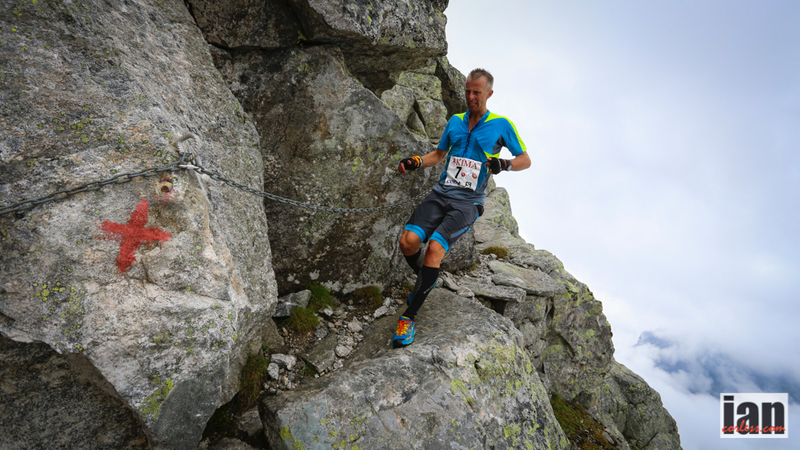 The SVK (Santana Vertical Kilometer® ) covers a course 4.8km in length and a total vertical gain of 1003m and follows on from the most recent VK at Zegama-Aizkorri just last weekend where Stian Angermund-Vik and Laura Orgue took top honours. The SVK takes place within the Madeira Natural Park, inside protected ecosystems areas that are part of the Natura 2000 Network – an ecological network that has the objective to contribute for ensuring biodiversity through the conservation of natural habitats and wild fauna and flora in the European Union. Starting near the Vale da Lapa at an altitude of about 780m, in the heart of the Laurissilva forest, a Natural World Heritage Site of Mankind, the course covers 4.8km. Participants can experience the amazing views of Madeira Island and feel nature at its most beautiful. The final part of the route consists of a very technical and demanding climb that culminates in an emblematic point called Encumeada Alta (1785m), in the central mountain, from where you can enjoy superb panoramic landscapes on the highest peaks of the island. 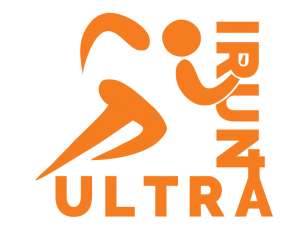 A total of 78 runners will take on this tough course with Saul Antonio Padua Rodriguez heading up the race. 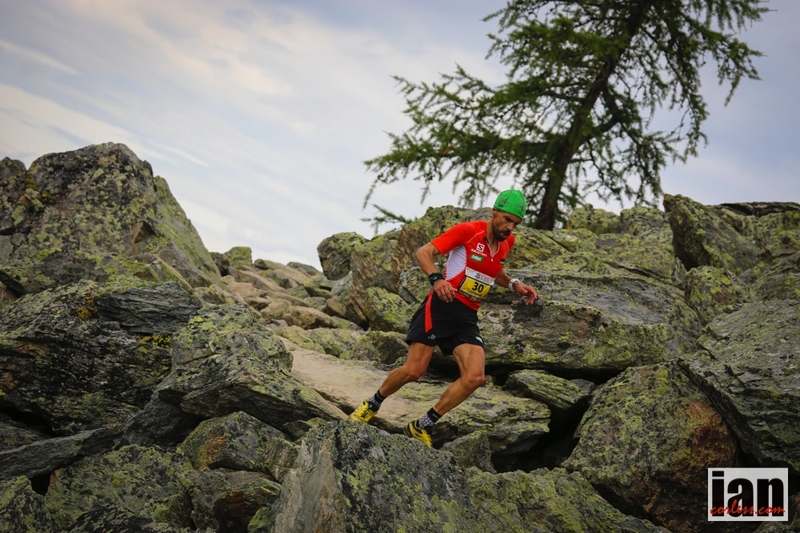 Other runners to watch are Ferran Teixido, Ekatarina Mityaeva, Anna Frost and more. 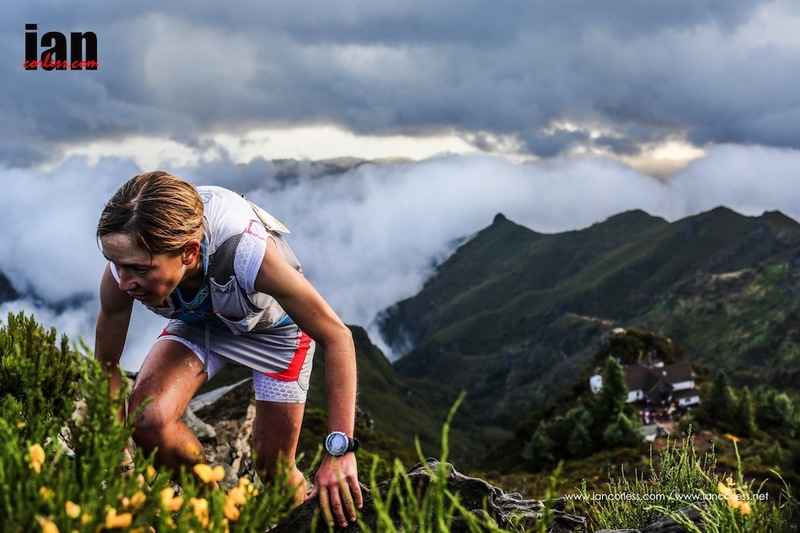 The main event of the weekend is the USM (Ultra Skymarathon Madeira®) – a technical mountain race that consists of steep slopes and trails covering a distance of 55km and 4000m of vertical gain. 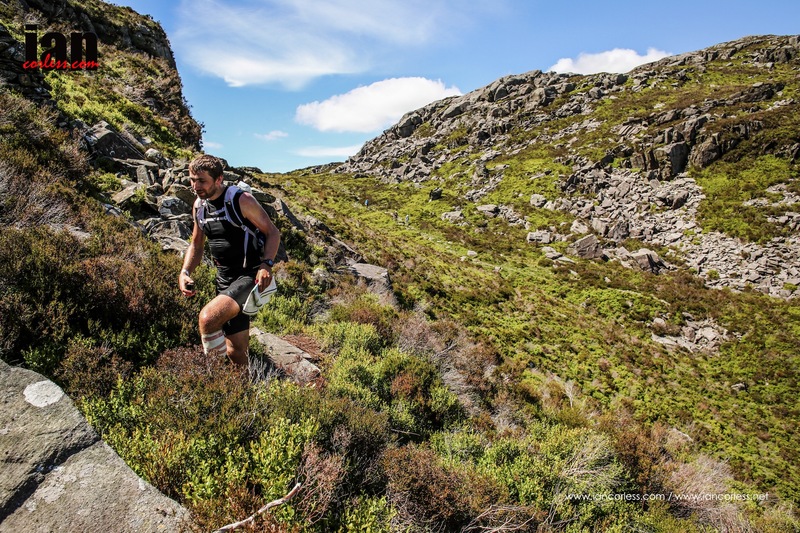 Comprised of passages which require technical climbing expertise of grade 2, stunning mountain scenery, mountains, sea cliff landscape plus the addition of an up river boulder hopping scramble; yes, the Ultra SkyMarathon Madeira is a unique race – It is no ordinary race and one that combines mixed elements in a wonderful natural playground. 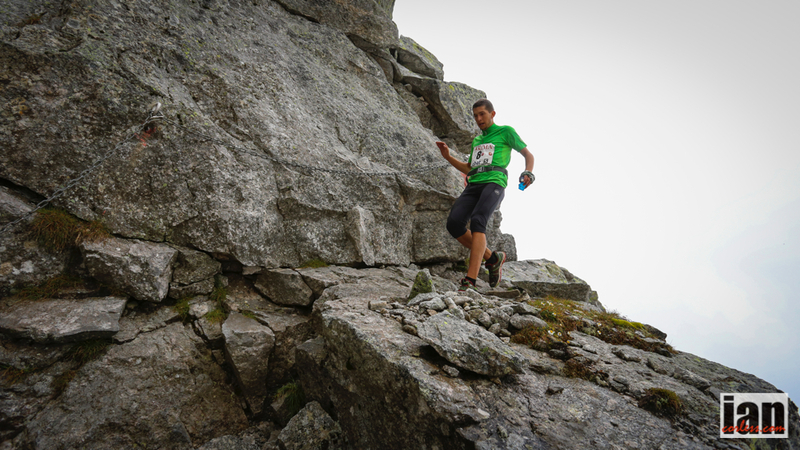 The ladies race will have a tough battle with last years 2nd and 3rd place ladies, Hillary Allen and Anna Frost. Add to the mix Elisabet Bertran Mesanes, Ekaterina Mityaeva, Eva Maria Moreda, Katarina Lovrantova and Laura Pratt Merino. 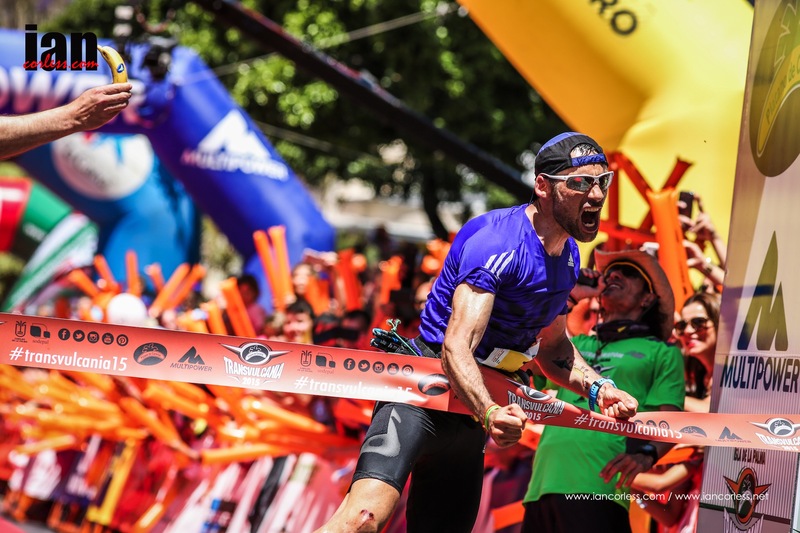 In the mens race it’s wide open, the hot favourite may well be 2016 Skyrunner World series Extreme Champion Jonathan Albon who will love the technical nature of the Madeira course. However, Italy’s Franco Colle will be tough competition along with Pere Aurell Bove, Dmityr Mityaeva, Nuno Silva, Roger Vinas and Xavier Teixido. A full line-up of the start list can be viewed here. 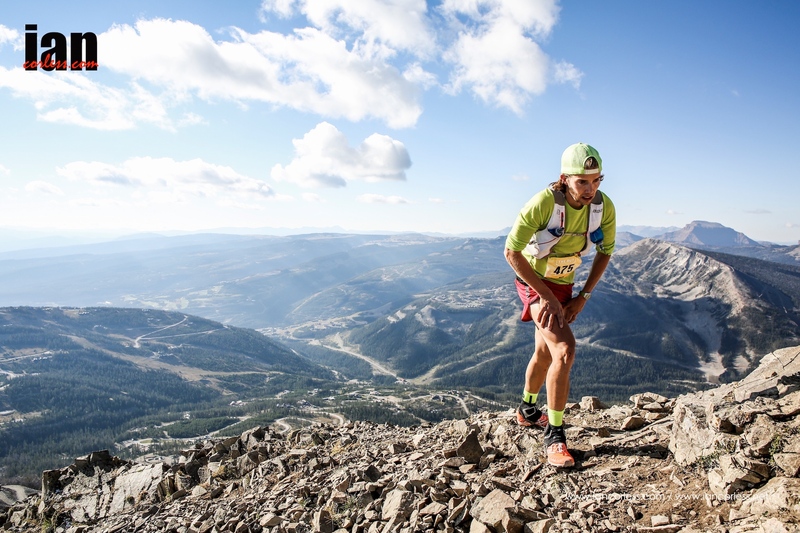 Cristofer Clemente (6:00:28) and Gemma Arenas (6:59:51) took top honours in 2016, who will stand atop the podium in 2017? 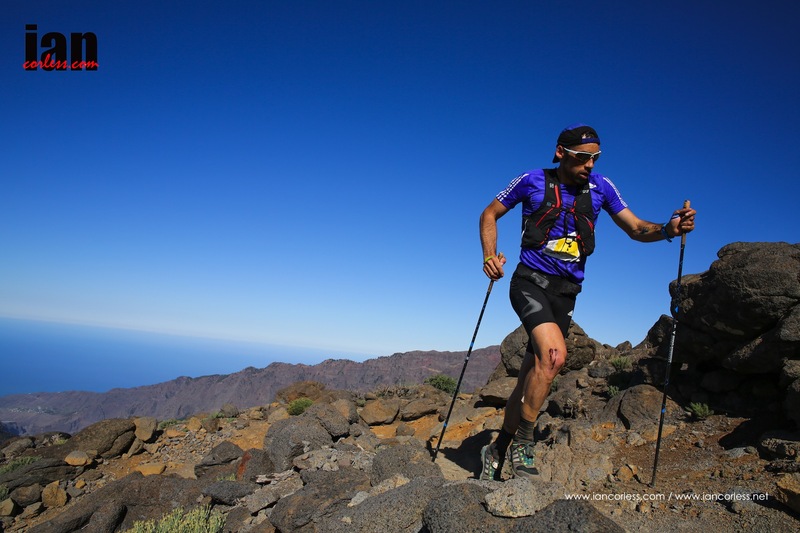 The Madeira Ultra SkyMarathon®, now in its fourth year, embodies the sea-to sky concept that personifies Skyrunning. 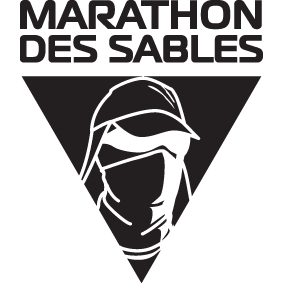 MDS, Marathon des Sables, The Toughest Race in the World… whatever you want to call it, the 31st edition is just around the corner. Think about it, 30-years. It’s quite incredible how this race has grown and has become ‘the’ multi-day race to do irrespective of experience. 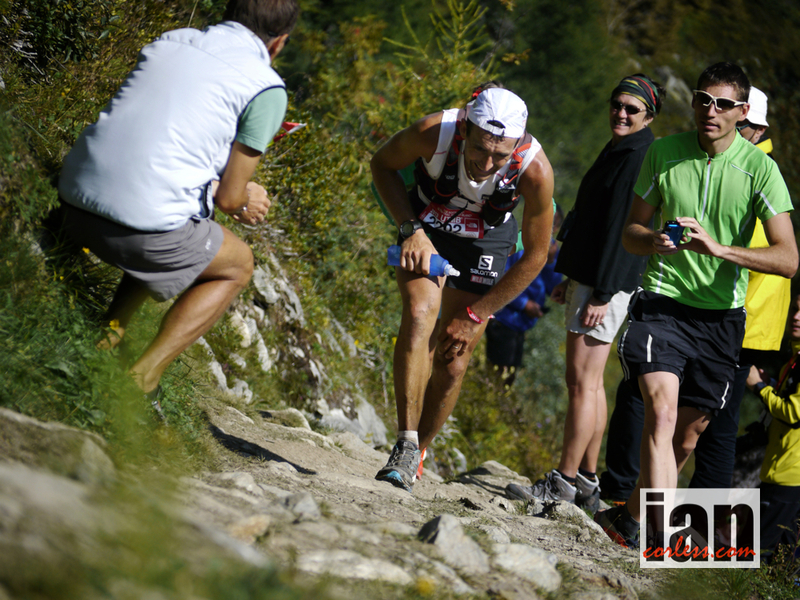 It was the first and is still the best race offering an ultimate adventure for novice and experienced runner. It’s more than a race. It’s an experience, it’s escape and it’s a challenge. The combination of self-sufficiency, life in bivouac and running 250-km’s through the heat of the Sahara is something that those that have experienced it will never forget. It is the story of life, a story of men and women who have come to the heart of the desert to rid themselves of the superficial to keep only the essentials and get in touch with their true selves. 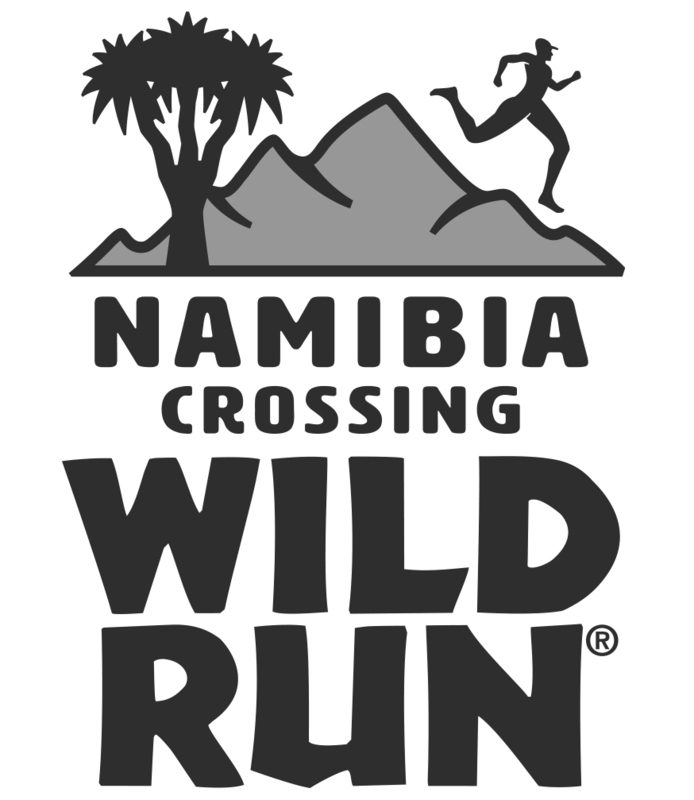 For the past three decades, some 19,000 runners have signed up for this experience, so, with the imminent running of the 2016 edition, it’s fair to say that race will see a great number of participants returning. and 45% are veterans thus confirming that you are never too old to take part! 2016 will see 1200 runners participate, a huge increase from 1986 when only 23 runners took part. Lasting six days’ participants must be self-sufficient carrying everything they need in a pack. Water is provided but rationed and a tent (bivouac) is provided each evening that must be shared with seven other participants. 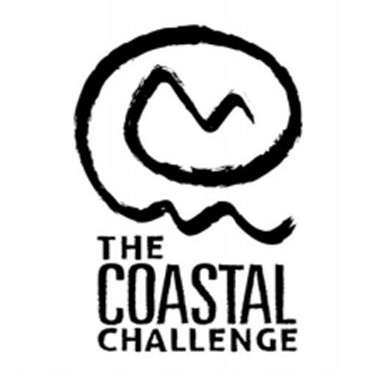 The 2016 edition of the race will be 257-km’s offering a series of challenges that will test the mind and body in equal measure. 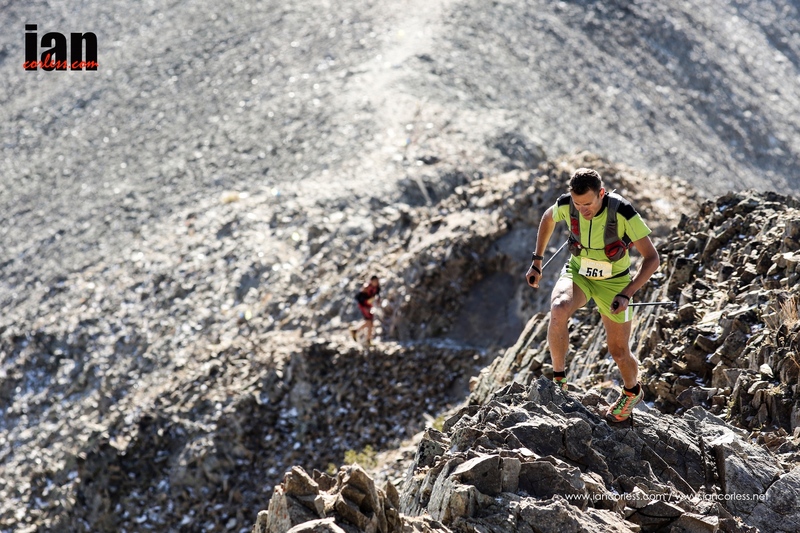 On a course punctuated by difficulties, competitors will get to see all of the Sahara’s different facets. 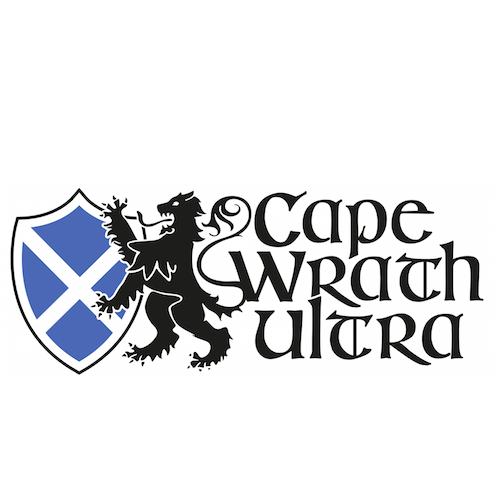 Runners will have to cross ergs (dune fields), djebels (mountains), stony plateaus, dried-up lakes and oueds in which only sand flows, as well as oases, nomad camps, and traditional, rammed-earth villages. The desert has its secret gardens and those taking part in MARATHON DES SABLES will be lucky enough to contemplate them as a recompense for their efforts. A long stage, with a wide variety of terrains. The standard dunes will be accompanied by stony plateaus where time stands still, rammed-earth villages inhabited by courageous souls farming arid land, and some steep djebels. As beautiful as it is difficult. MARATHON DES SABLES will merit its name on this stage. The first part will go fast but, before the 1st check point the dunes will emerge… and then carry on, with more before and after the 2nd check point and a few more before the bivouac. The desert will go up and down with a slight climb before some slopes of over 20% that will put it all into perspective. Known as “the long one” by old hands, this is the most testing part of the race, where you really need to manage your energy. The list of remarkable sites along this stage is particularly long. It’s the kind of stage that made MDS’s reputation. In less than 35 hours, runners’ minds and bodies will have had their fill. Running through the sand at night under the stars teaches all of them about humility. No one emerges from this long pilgrimage unchanged. The Marathon stage. For those who thought they’d seen it all, get ready for a revelation. 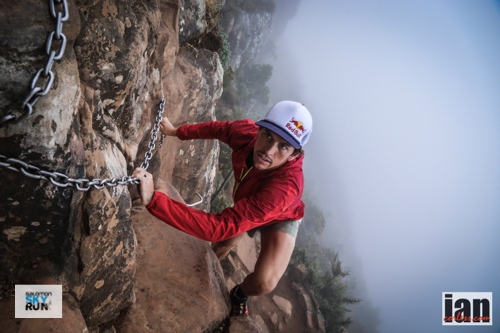 This entirely new route will take you through some splendid sites and end in a battle for the leading places. The less hurried will take their time to admire the landscapes. A lot more dunes and hills for 42.2km. This obligatory stage is timed but does not count in the MDS ranking. 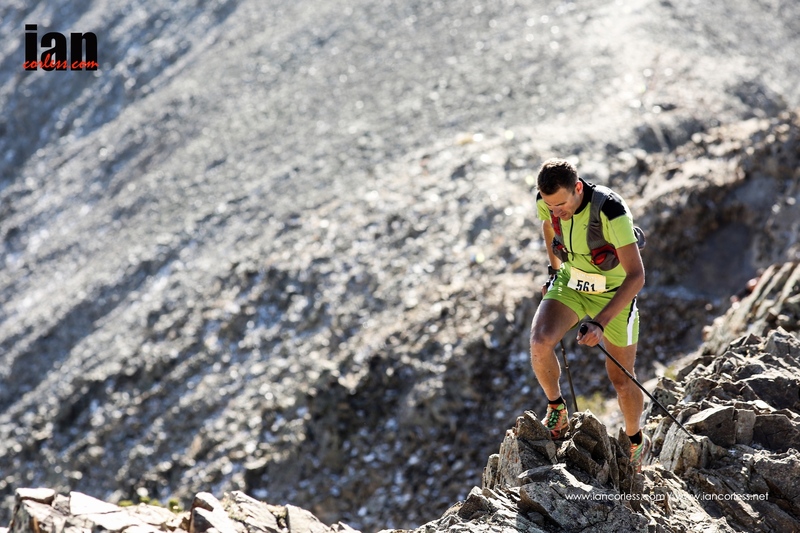 You have to cross the finish line to feature in the ranking of the 31st MDS and receive a finisher’s medal. When they reach the small village in which the final finish line is located, competitors, sponsors and families signed up on this stage will make up the caravan and be able to appreciate the beauty of the landscape, all wearing the colours of UNICEF, which supports projects for impoverished children. This stage is mostly a chance to reflect on the experience of this amazing human adventure, and raise awareness of solidarity before returning to civilization. 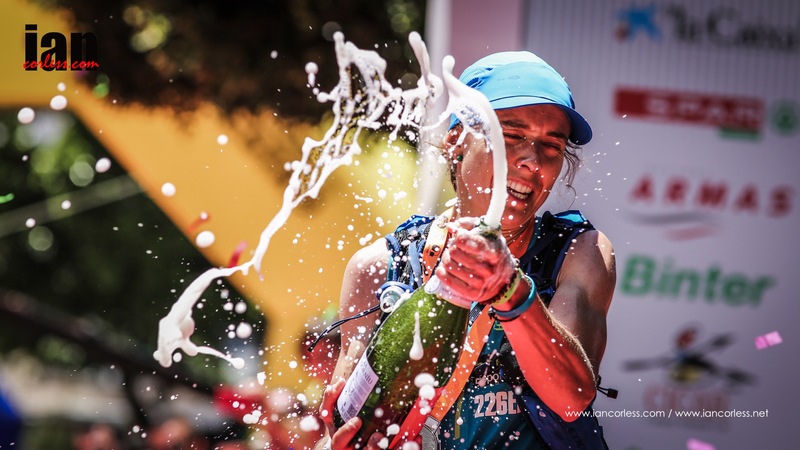 Elisabet Barnes is the defending champion and has become a dominant force in the world of multi-day running. 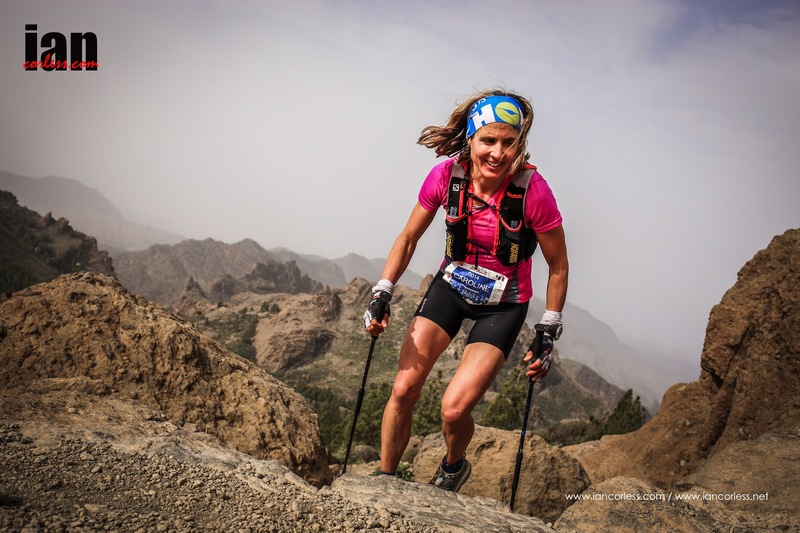 She followed MDS victory in 2015 with victory in Oman and placed 2nd lady at the recent The Coastal Challenge in Costa Rica. 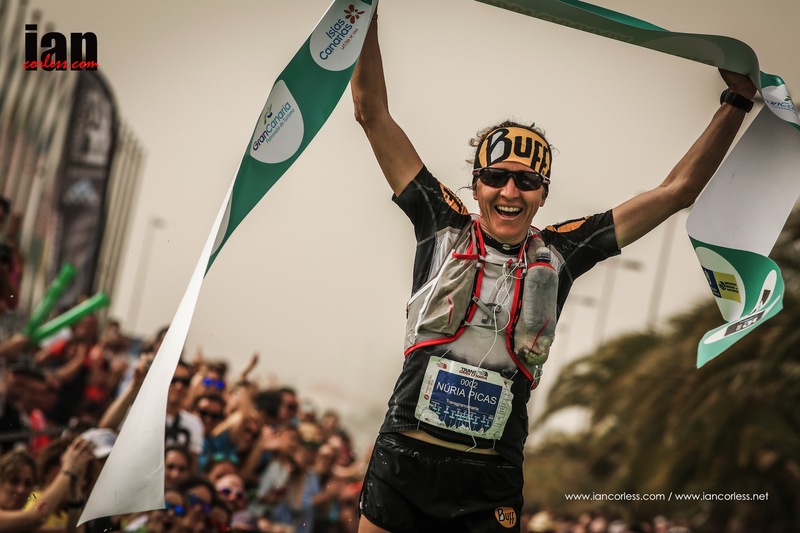 Recent life changes have impacted on Elisabet’s preparation for the 2016 edition of the race but she knows the desert, she knows the sand and she knows how to race over multiple days. 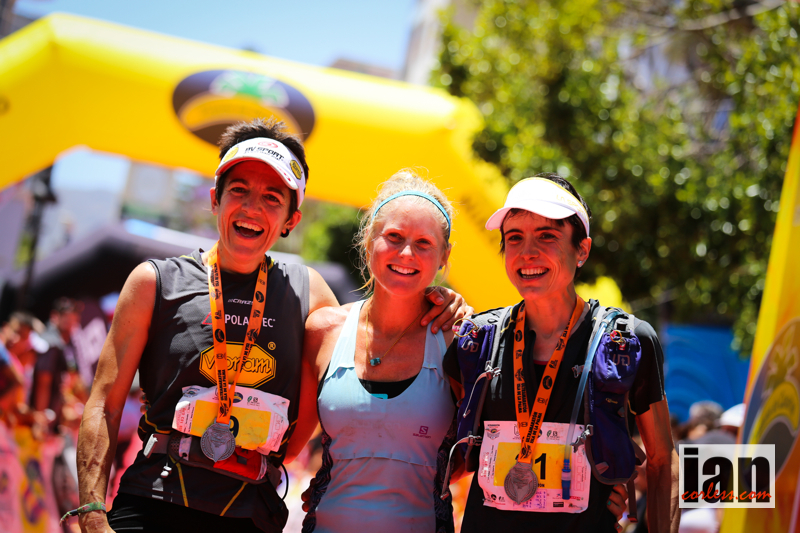 Fernanda Maciel is a newbie to the Sahara and multiple day racing despite victory at the 2013 Everest Trail Race. 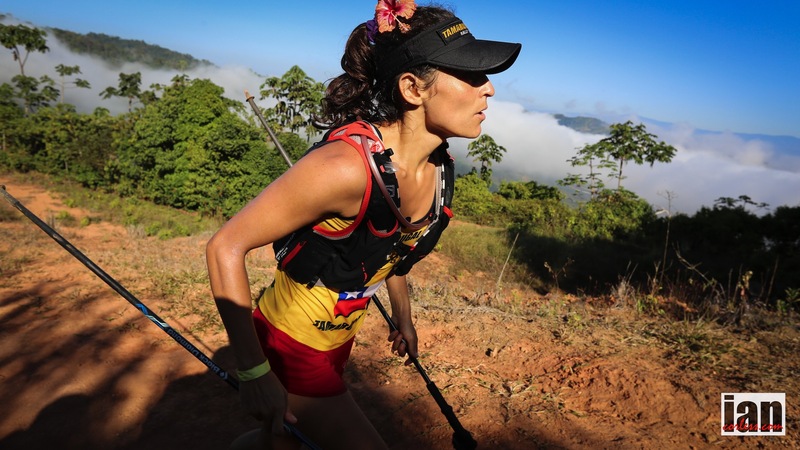 One thing is for sure, the heat should not be a problem for the Brazilian ultra runner. 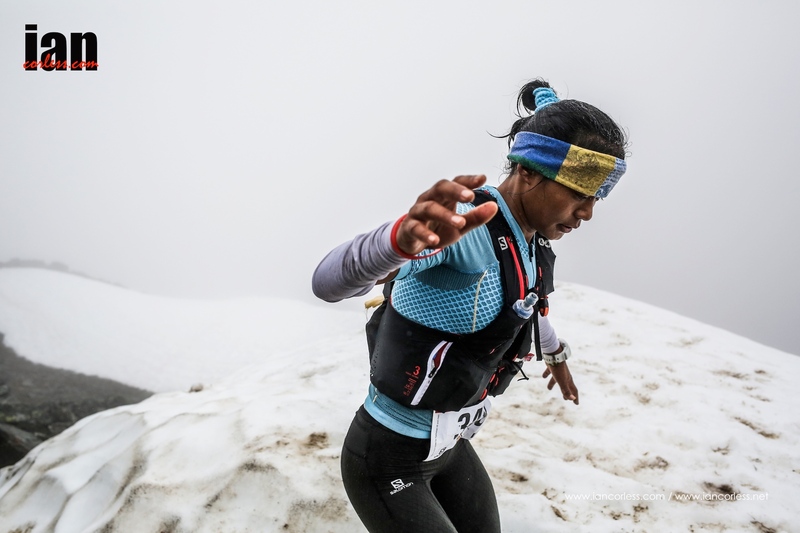 An experienced competitor, Fernanda recently spent a long period of time at altitude in an effort to set a ‘FKT’ (fastest known time) on Aconcagua. Something she achieved! 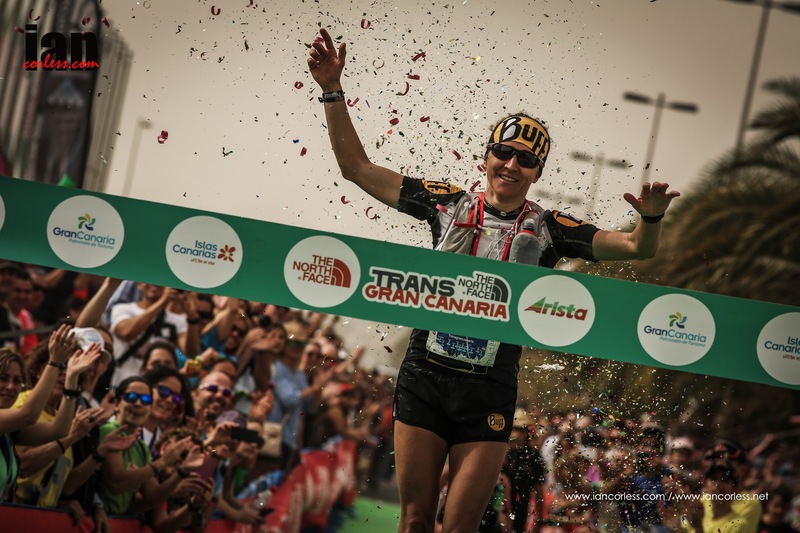 Her success at races such as UTMB, Transgrancanaria and Ultra-Trail Mt Fuji will almost certainly mean that she will be a force to be reckoned with. Nathalie Maculair will without doubt shake things up at the 2016 edition. 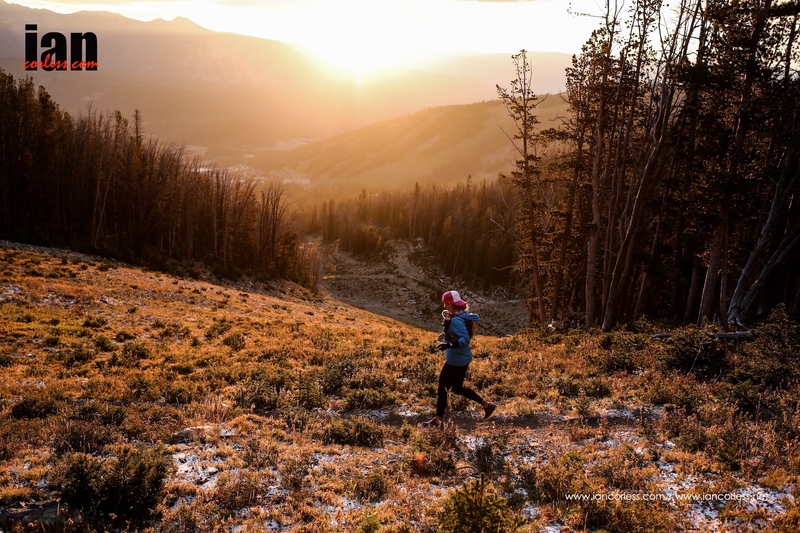 Her results speak for themselves and her ability to run fast, climb, handle technical trail will (and quite rightly so) intimidate her competition. 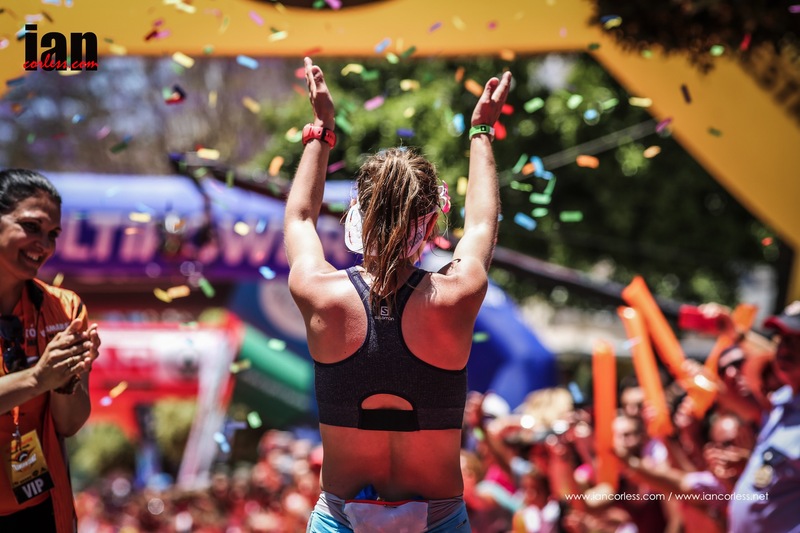 Nathalie has raced well at Transvulcania, become a world trail champion and also won the ridiculously tough, Grand Raid de la Reunion (Diagonale des Fous). 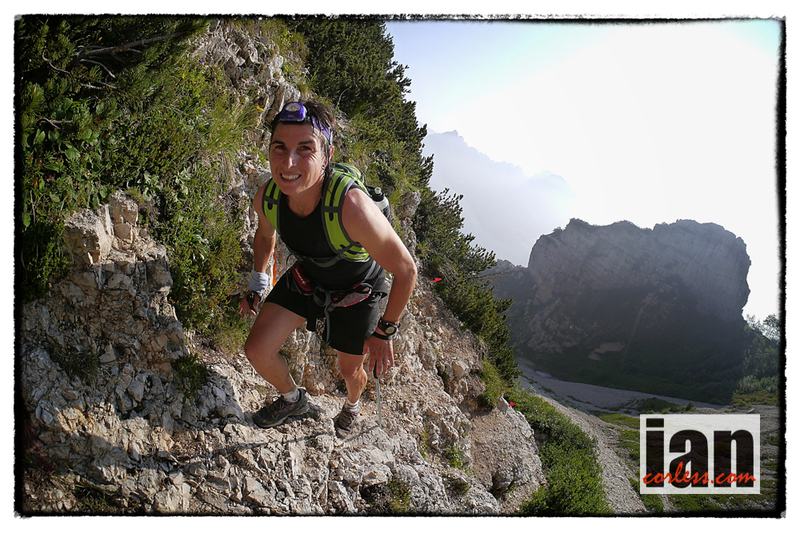 This will be Nathalie’s first multi-day race but she has raced in ‘Raids’ before. Her small size will without doubt be a huge disadvantage in the early stages. A wife and mother, this may well be the ultimate escape for her. 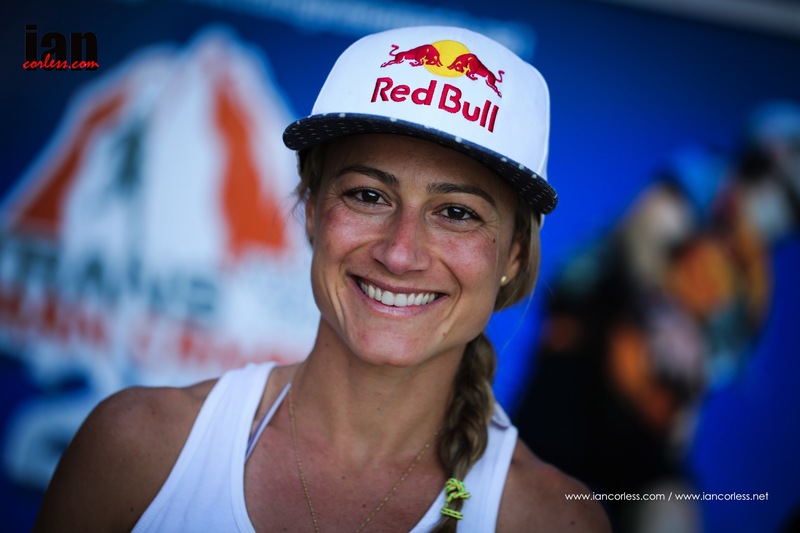 Laurence Klein has won the race multiple times (2007, 2011 and 2012), and knows the sand and the race better than anyone else. You van never rule her out! In recent years’ things have not gone to plan in the big sand pit, but Laurence is back once again, that can only mean one thing; she believes she can win! 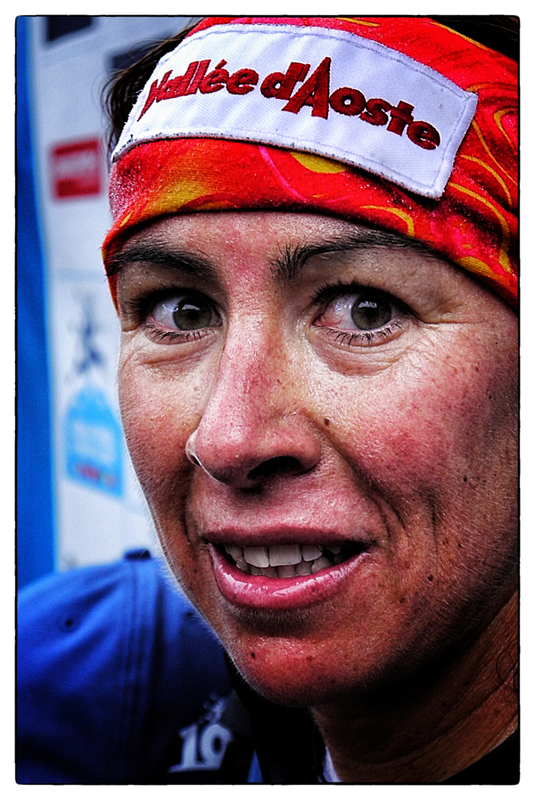 Liza Howard ran MDS last year and placed 16th which does not reflect her ability. 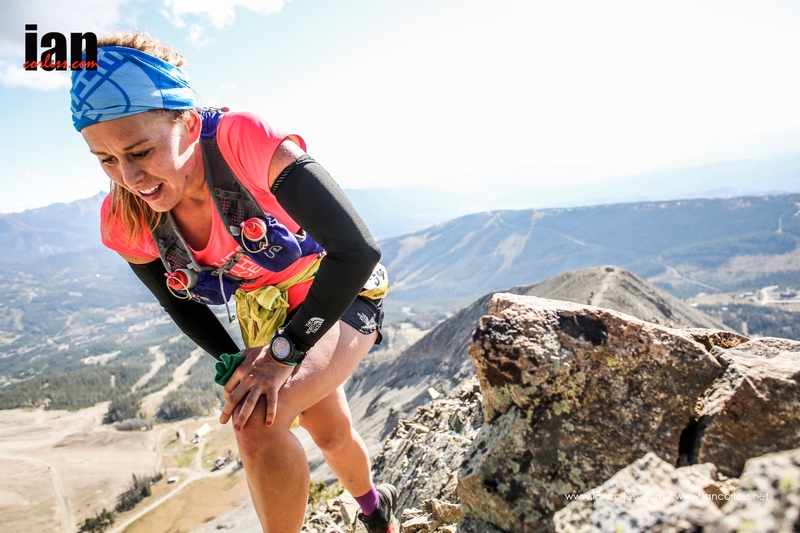 She has real experience of ultra running as she proved with victory at Leadville 100 in late 2015 (she also won Leadville in 2010) and I am sure that she learnt valuable lessons in the 2015 edition of MDS that will only make her stronger and more resilient in 2016. 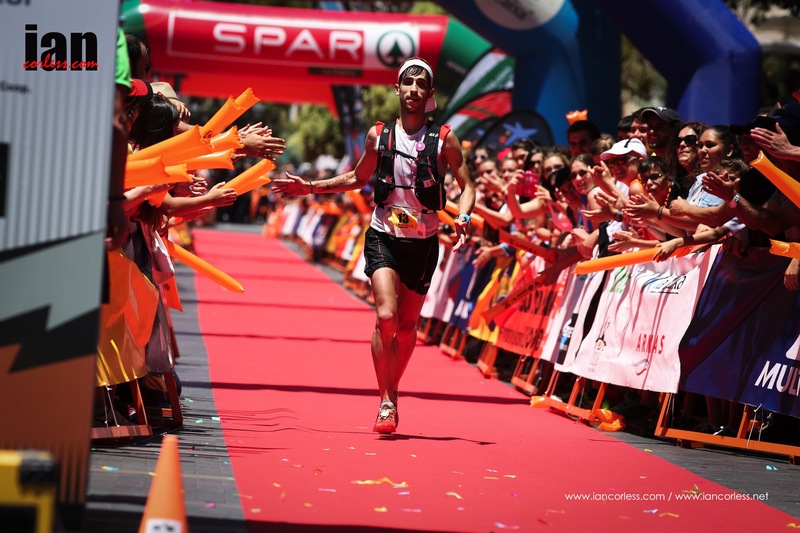 Aziz Raji a name I initially missed but a hot contender for the podium after great runs at Trans Atlas Marathon and in Oman. Meghan Arbogast is another USA based runner that has all the credentials and history to make a real impact in the dunes and the hard packed sand of the Sahara. 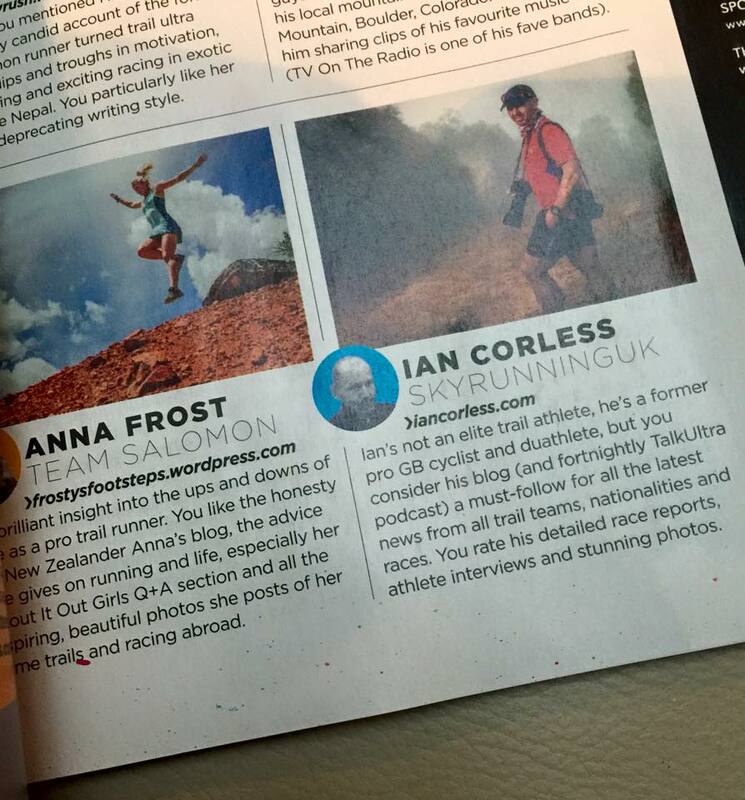 A fast runner, particularly over 100km, Meghan’s race history dates back to 1996 and is compulsive reading. Natalia Sedykh placed 3rd last year and like Elisabet Barnes was an unknown entity. She had a steely grit and determination and I can’t help but think that 1-year on, she will come to the race meticulously prepared with just one objective; overall victory! Frederica Boifava, Annick Ballot, Gweanelle Coupon, Elise Delannoy, Sophie Laversanne, Claire Price, Holly Zimmermann, Maree Jesson and more. Rachid El Morabity has won the race three times, is defending champion, has local knowledge and is the man to beat, need I say more? 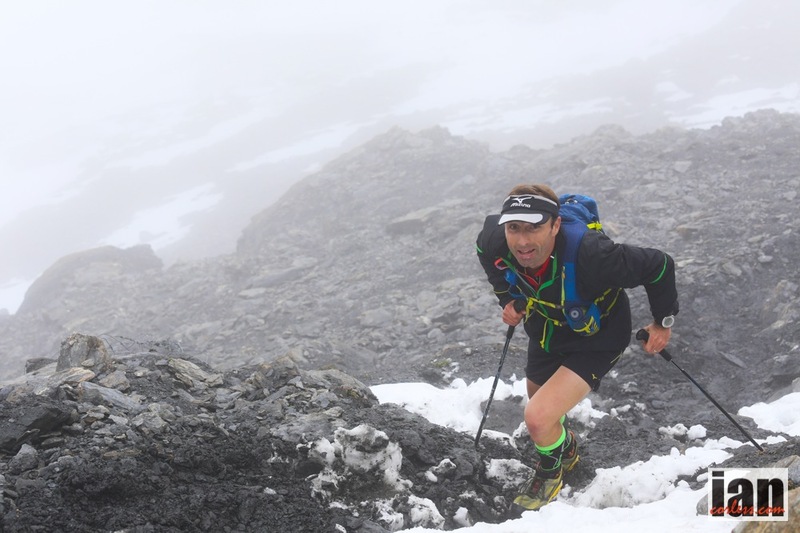 Franco Colle is a surprise entry as he loves the mountains. 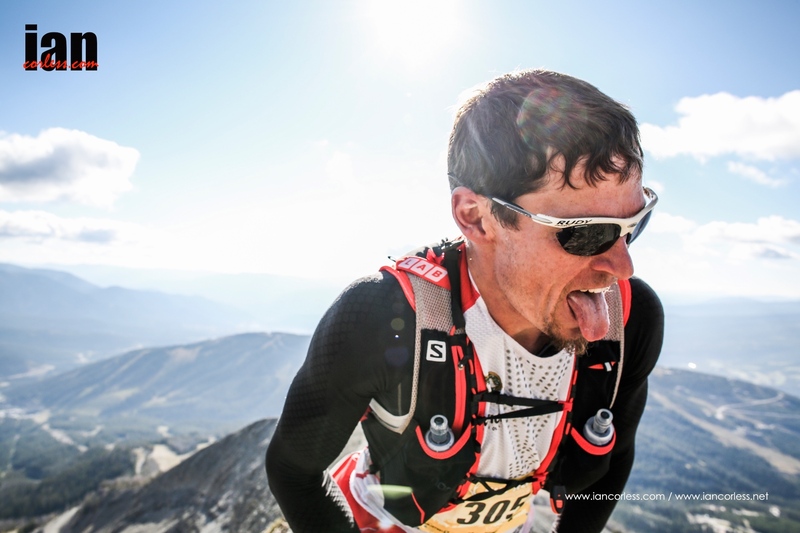 He had an incredible 2015 racing on the Skyrunner World Series and by contrast he has won the epic and demanding, Tor des Geants. 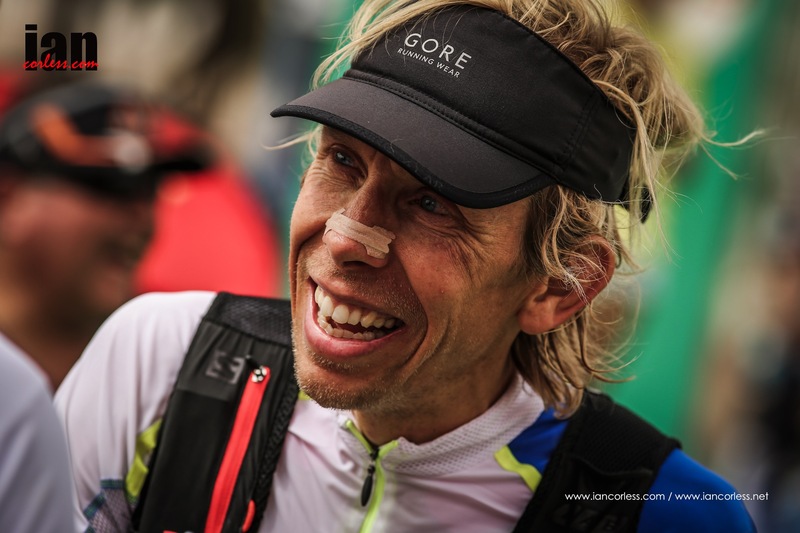 He has strength, technical ability and is used to carrying a pack in the mountains, this is his first MDS but don’t rule him out! 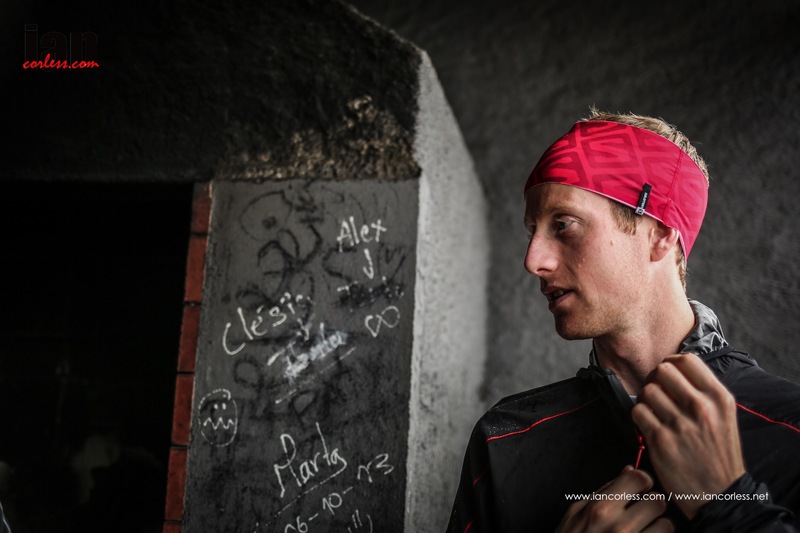 Sondre Amdahl has been a revelation in recent years with a sting of world -class performances at UTMB, Western States, Transgrancanaria, UTMF and so on. 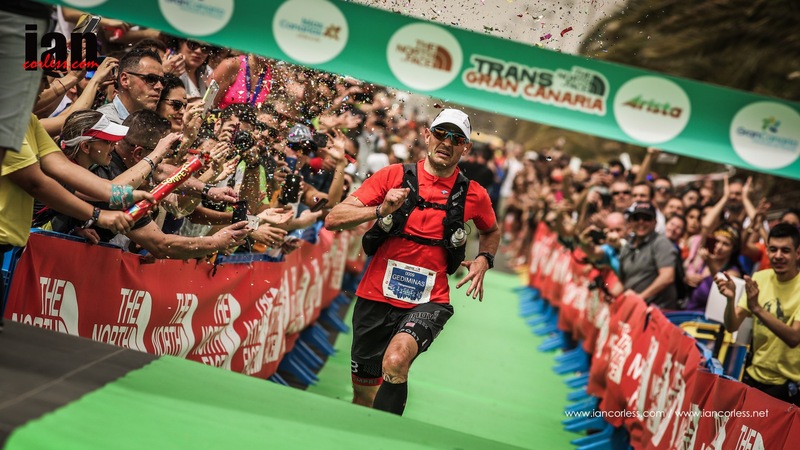 He recently pulled out of the 2016 edition of Transgrancanaria and has then devoted himself to preparing for the Sahara. A fierce competitor, he will try his hardest day-after-day. Erik Clavery is the great French hope. 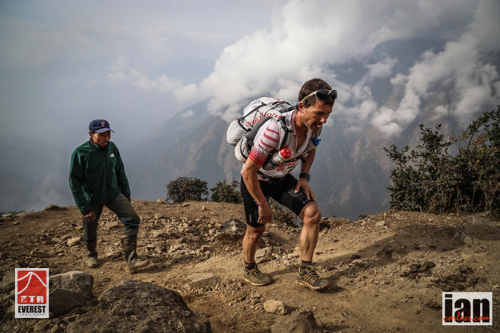 He has said numerous times that MDS is a dream race and he has set his sights high. Carlos Sa has come close but never quite managed to smoke the MDS cigar. He placed 4th in 2012 and 7th in 2013. 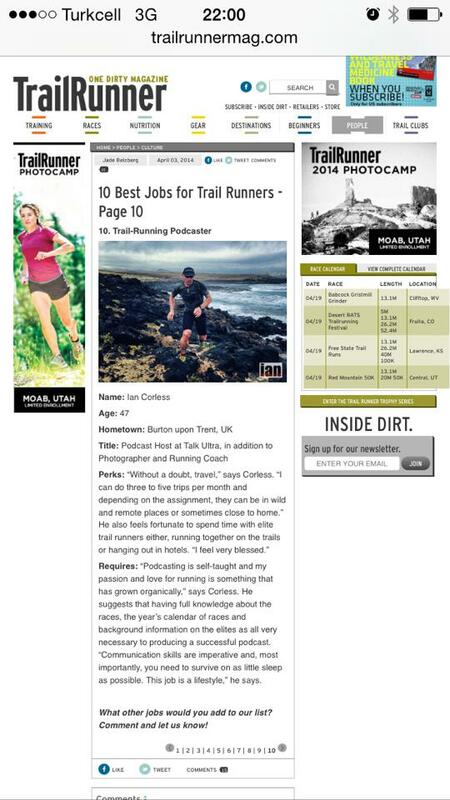 This year, Carlos has really set his sights on MDS and his recent run in Costa Rica at The Coastal Challenge was great training. We all know he can run in the heat as his 2013 victory at Badwater 135 confirms. I hope he makes the podium! 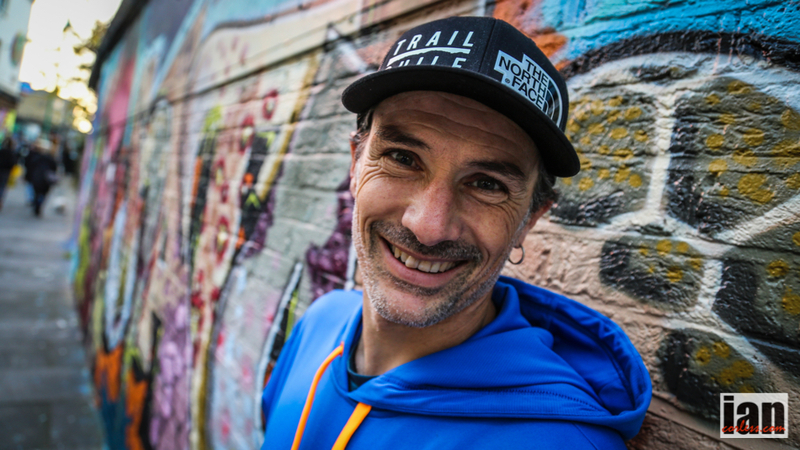 Chema Martinez is a 2:08 marathon runner, he placed 6th at MDS last year and recently had a great run in Costa Rica at The Coastal Challenge. He’s a fun loving guy who loves to race and race fast. He made mistakes in 2015 and will look to put them right in 2016 – watch this space! 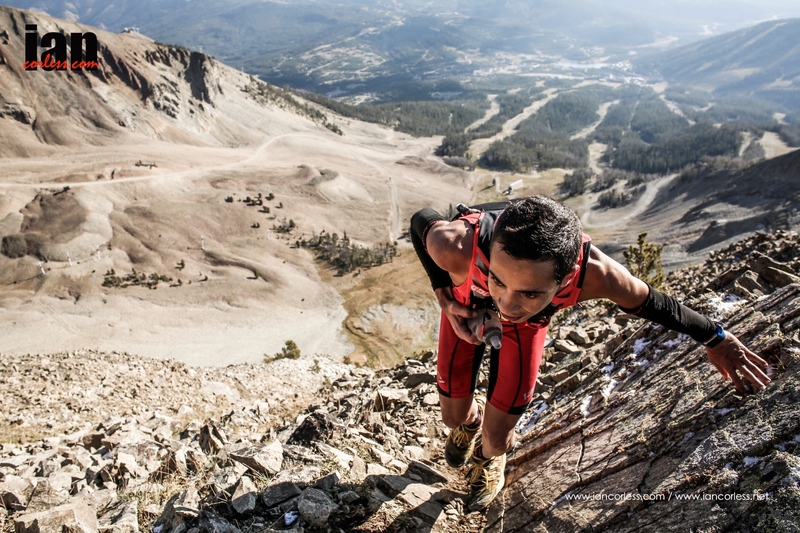 Jason Schlarb is one of the USA’s top runners who has excelled at races such as UTMB. 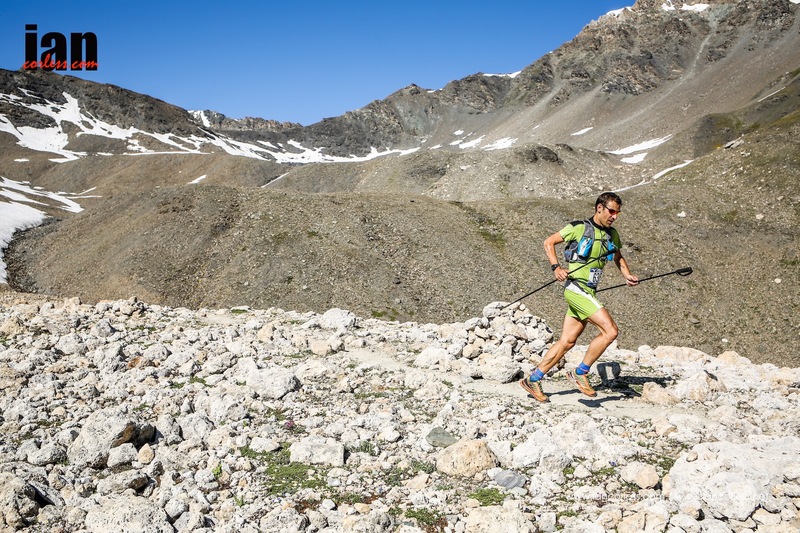 Just recently he skied (with 3 others) the Hardrock 100 course over 4-days. A world first and a huge achievement. Without doubt, MDS will be a huge learning curve for Jason but it’s a challenge he is embracing. He sees the race as one big adventure! 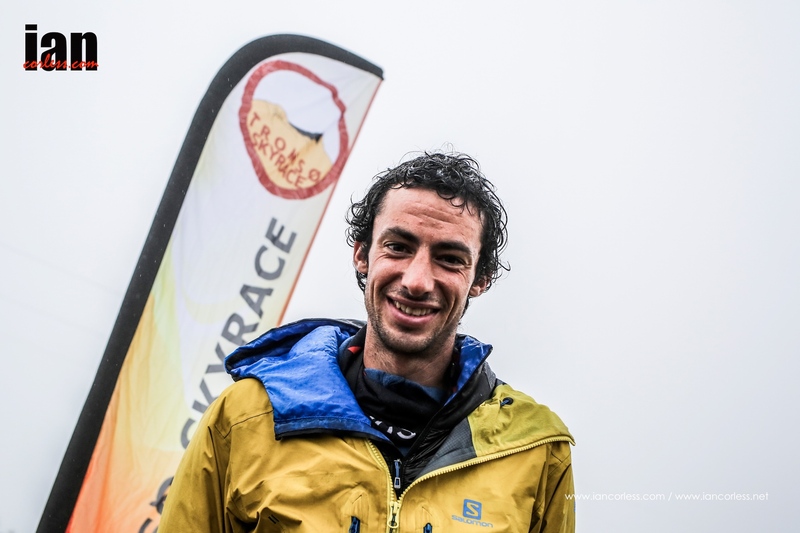 Aziz El Akad has been in the top 5 six times, so a repeat performance is highly likely. 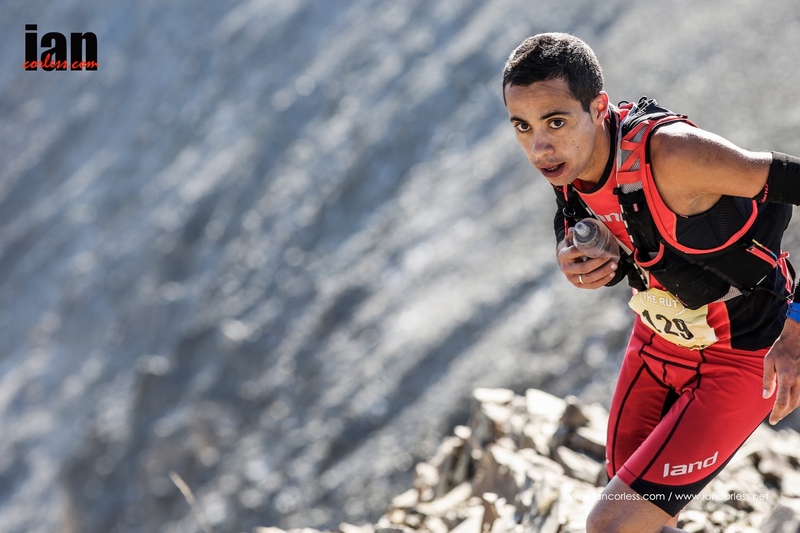 Abdelkader El Mouaziz was 2nd last year and a super fast runner. He will be looking to oust Rachid for the top slot and he has the race to do it! 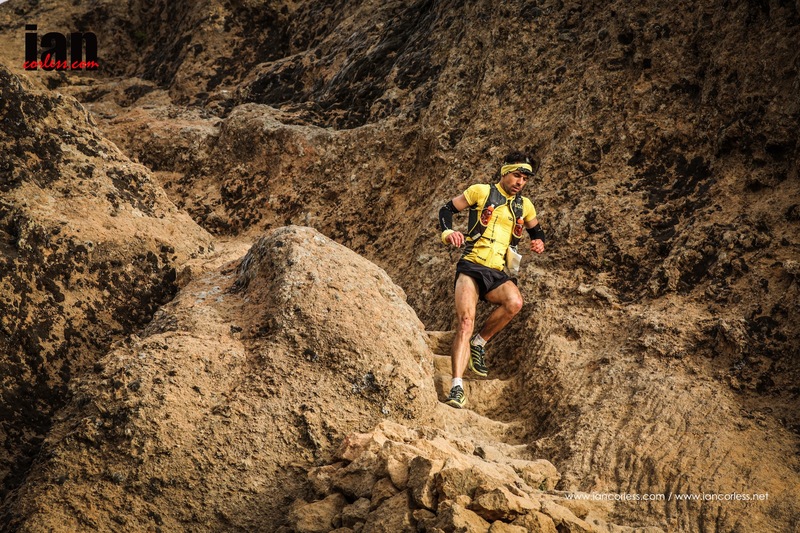 Samir Akhdar has never won MDS but has placed in the top 8 seven times. Jean-Sebastien Braun, Marco Olmo, Greg Dunning, Glenn McDougall, Alejandro Lopez Reyes, Ahmed Tahiri, Mohamed Faraj, Marco Pajusco, Juan Manuel Cortes and more. 2013: 1,027 competitors on the start line make this a new participation record. New feature: a final “Charity” stage sponsored by UNICEF and traversing the Merzouga dunes round off the race. Sports wise, Mohamad Ahansal and Megan Hicks are the champions of the 231.5km event. On a human level, all of the finishers pull off their crazy bet. 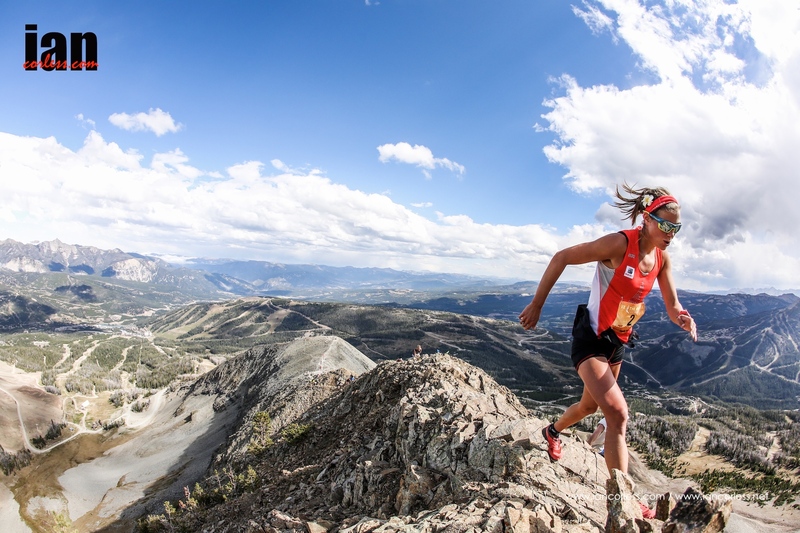 Concluding an incredible weekend of Skyrunning, the RUT 50km which is the penultimate ultra in the Skyrunner World Series took place today (Sunday) in the resort of Big Sky, Montana. 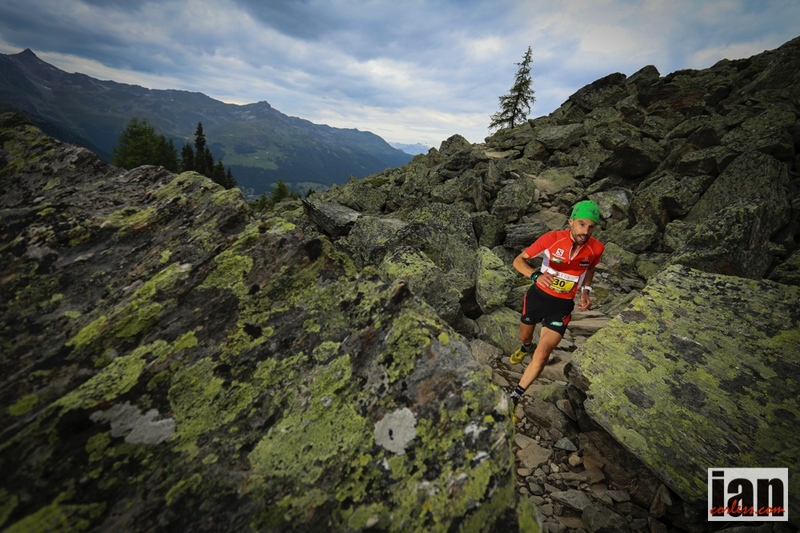 One of the key races in the 2015 Skyrunner® World Series this stunning race did not disappoint. Overnight temperatures dropped and light snow had left a sprinkle over much of the 50k terrain. 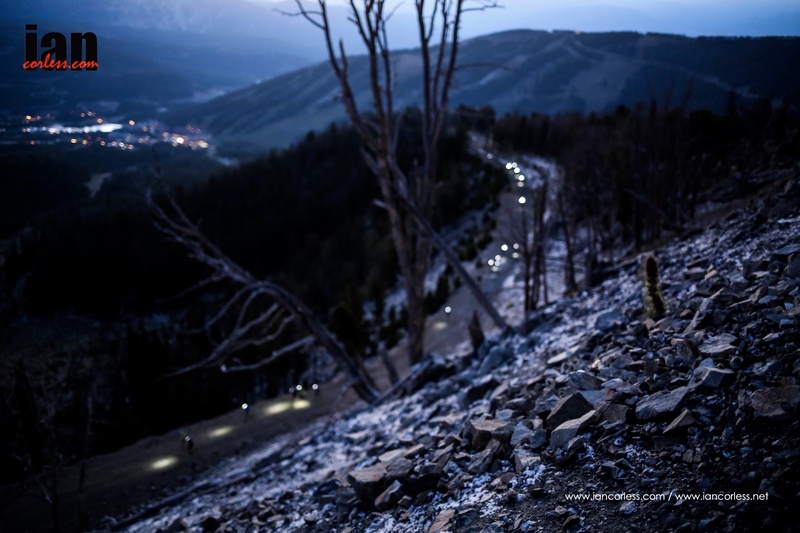 The 0600 start was below freezing and it was a good job that runners went straight into a 500m climb to get warm. The first 45-minutes were undertaken in darkness and then a most incredible sunrise welcomed a new day. 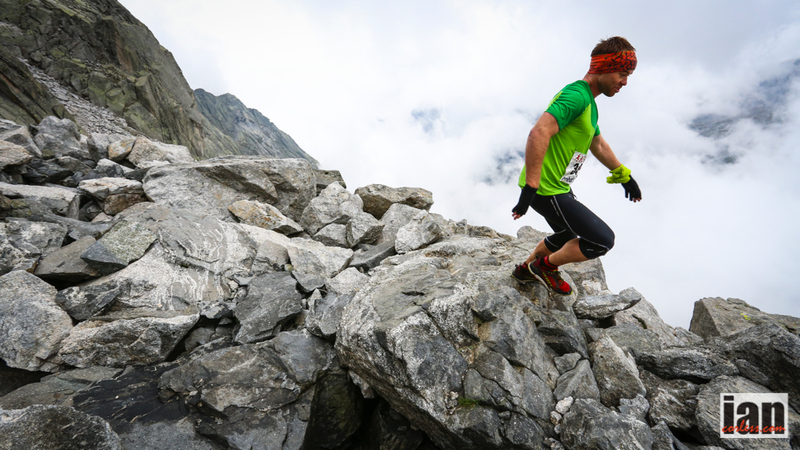 To many a Skyrunner, that is a calling card for full-on, adrenaline packed mountain running adventure. 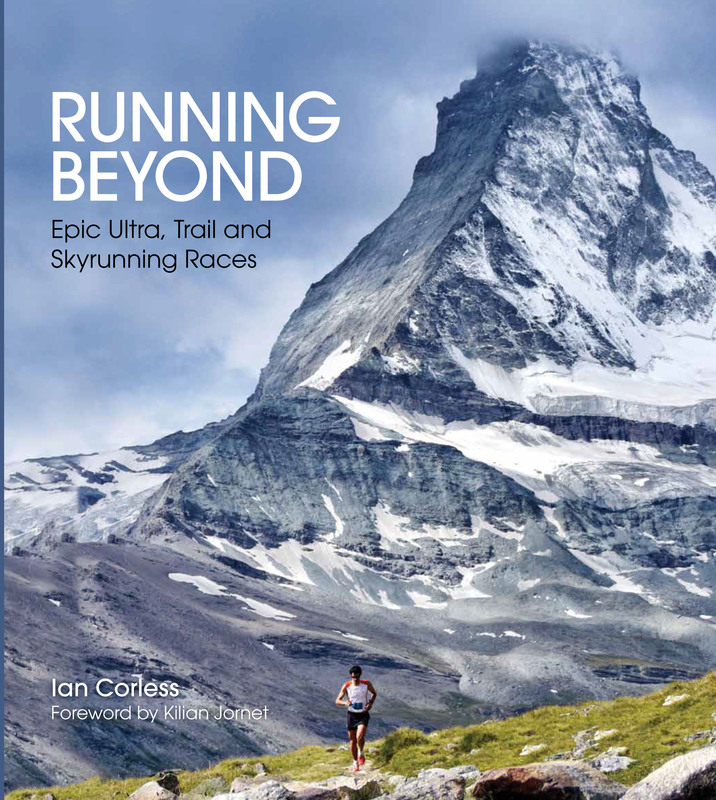 Restricted to just 600-runners, demand for the RUT 50km was always going to be high and this was reflected in the race selling out. 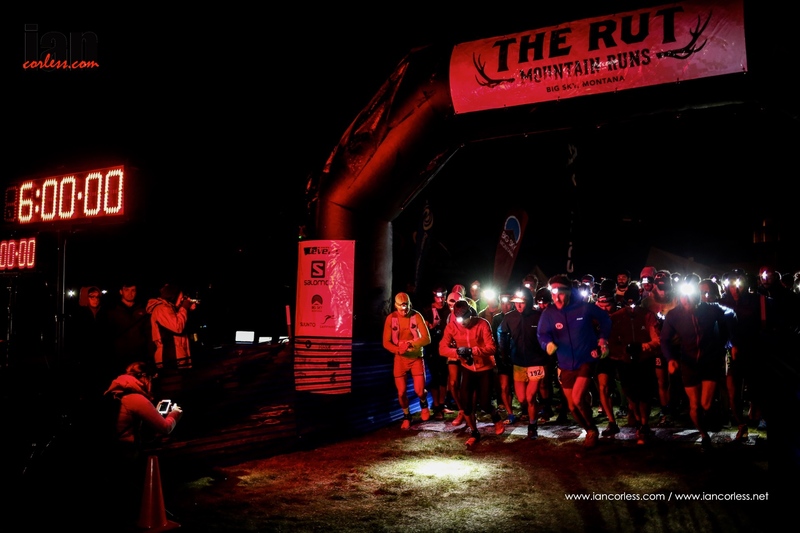 Containing 60% single-track, 25% dirt road and 15% off-trail, the RUT really did provide a spectacular race. 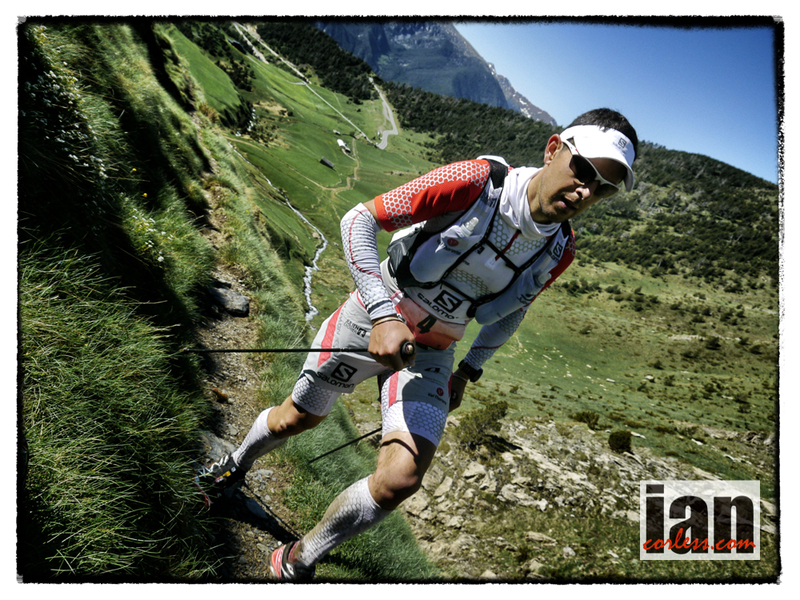 As with all races over the RUT weekend, the 50km event had wave starts that would be offset by 5-minute gaps. The elites ere released in wave 1 and 3 other waves followed. What transpired was a stunning day of racing. 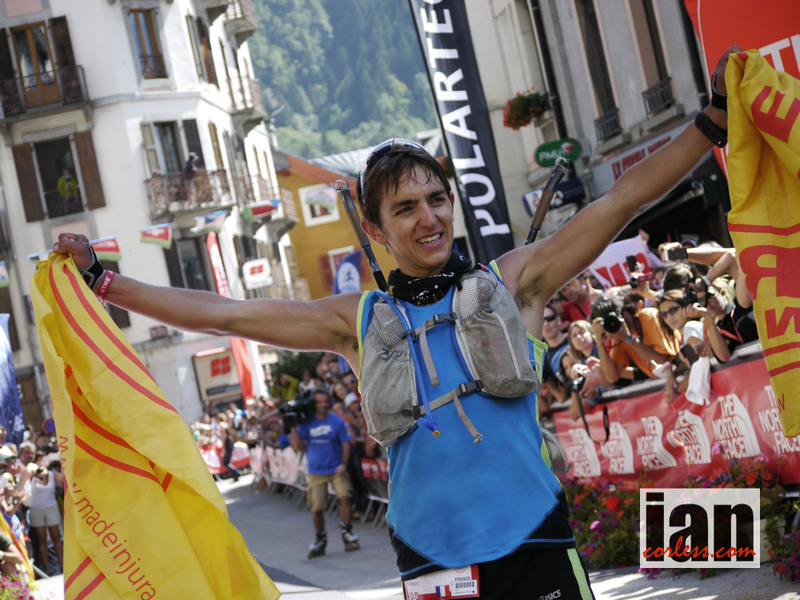 Franco Colle from Italy followed on from his impressive podium placing at Mont-Blanc 80km and ran a cool, calm and controlled race. Pushing from the front he looked relaxed throughout and he crossed the finish line in 5:16:58. 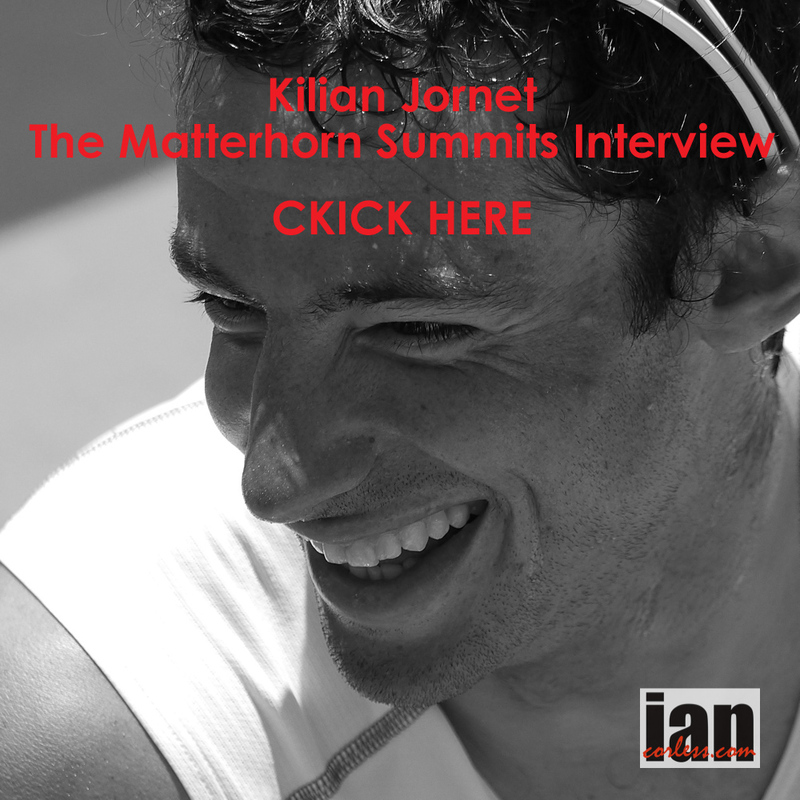 His time was impressive but outside Kilian Jornet’s 2014 winning time. 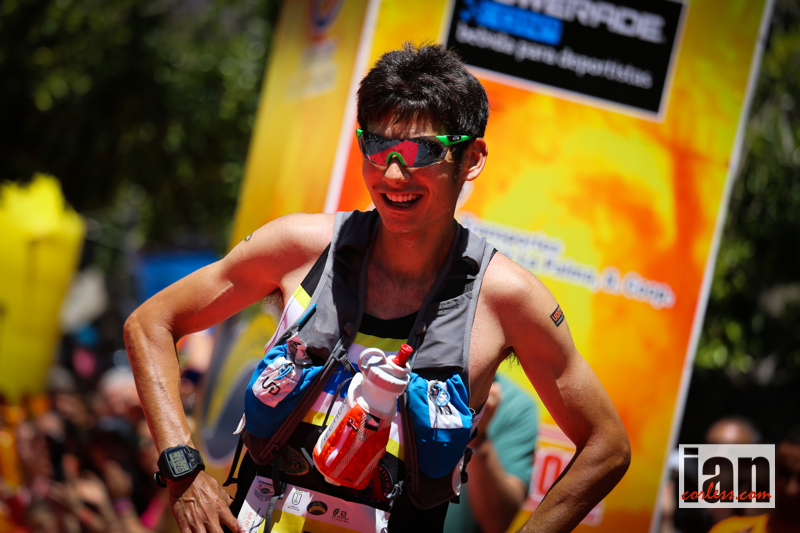 Cristofer Clemente has consistently shown excellent results in 2015 and is a prime contender for the Skyrunner World Series, he backed this up once again time trailing Franco throughout the race but running a strong and secure 2nd place in 5:19:28. Matt Shyrock produced a breakthrough performance having placed outside the top 10 in 2014 to come through and take the final podium place in 5:29:00. His excitement and enthusiasm for his finish was clear for all to see with some great showboating. In the ladies, Emelie Forsberg followed on from her 2014 victory with a repeat win in 2015. Not only did she win but in the process set a new course record! 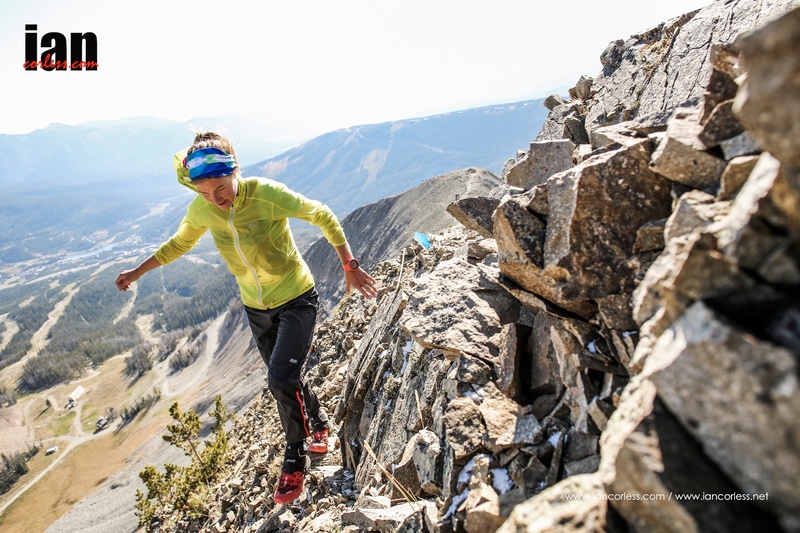 This is all the more remarkable considering that Emelie has raced all 3 races of the runtherut weekend. Incredible. Her time 6:25:44. 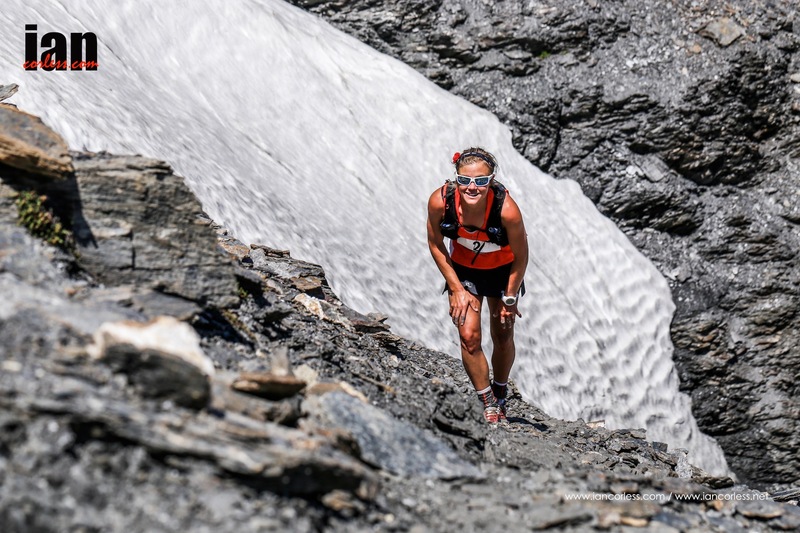 Continuing to show incredible promise as a future star of Skyrunning, Hillary Allen followed on from a podium place at Mont-Blanc 80km to finish 2nd here in Montana. 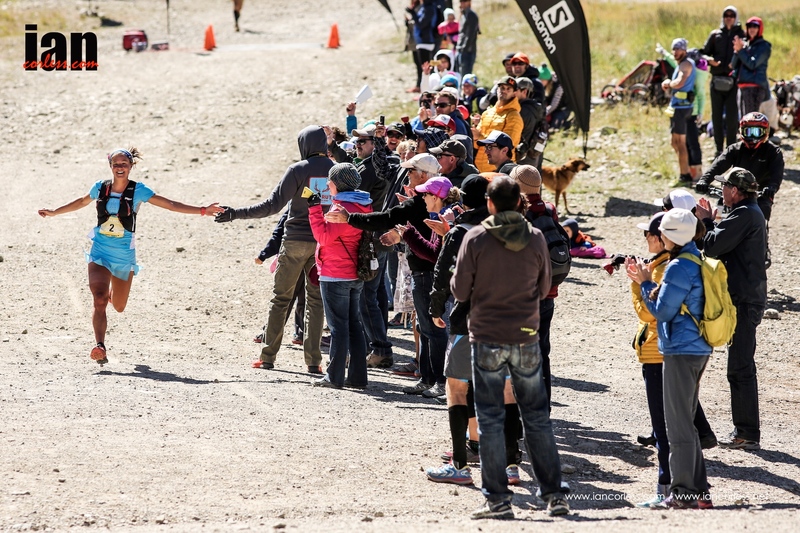 Her time 6:30:15 was under Emelie’s 2014 course record! It was no easy result though, just before the 18-mile mark Hillary went of course with 3 other ladies and this opened up the doorway for eventual 3rd placed lady, Martina Valmassoi to move into 2nd. Hillary dug deep though and gained back her 2nd place. 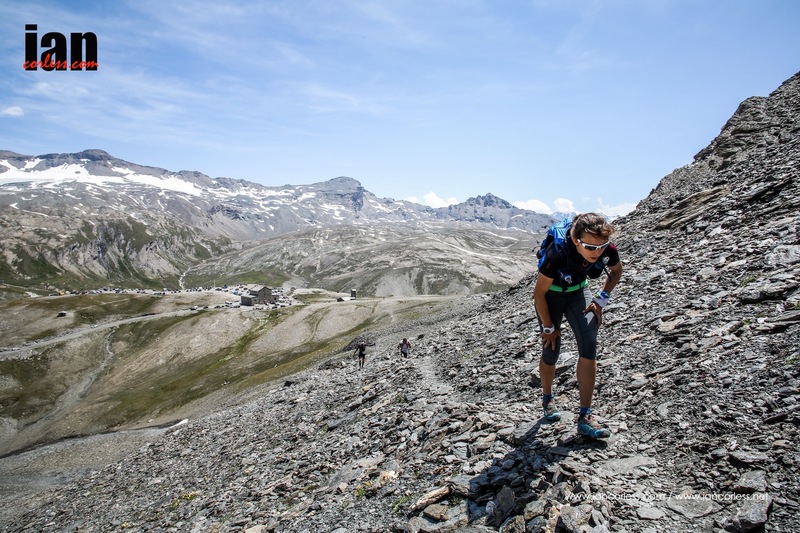 Martina Valmassoi running her first ultra had a breakthrough performance to finish on the podium in 6:41:42. It was quite a run. Ashley Erba, a pre race favourite had been leading the ladies in the early stages but was forced to withdraw from the race having received extreme blister on the soles of both feet. 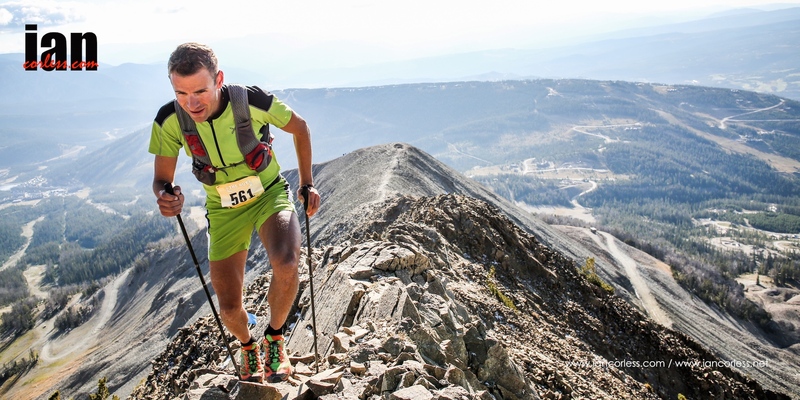 With the racing over and done, Big Sky Resort, the two ‘Mikes,’ Montana, the Lone Peak mountain and a stunning weekend of favourable weather has well and truly made the RUNTHERUT weekend a great showcase for Skyrunning in the USA and worldwide.